Mark DeRosa was batting a horrible .152 before the injury, but the Nats needed utility help and they liked his veteran leadership. That is most likely why they are replacing him with another veteran presence. 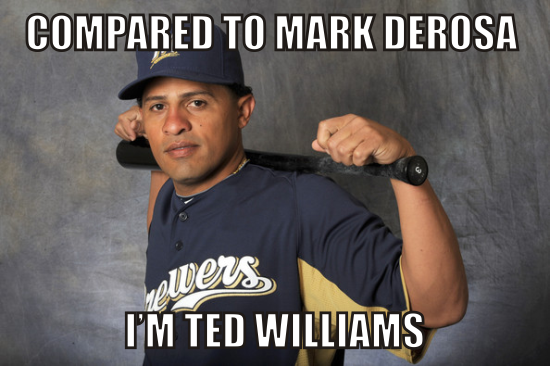 DeRosa makes Izturis' .235 batting average look like .400, but the main reason for the signing was defensive help. This will be Izturis' 8th team in the Majors and the Nationals hope he can help fill in at different positions until Ian Desmond returns from injury.